imAndystorm.com. Singapore Lifestyle. Travel. Food. 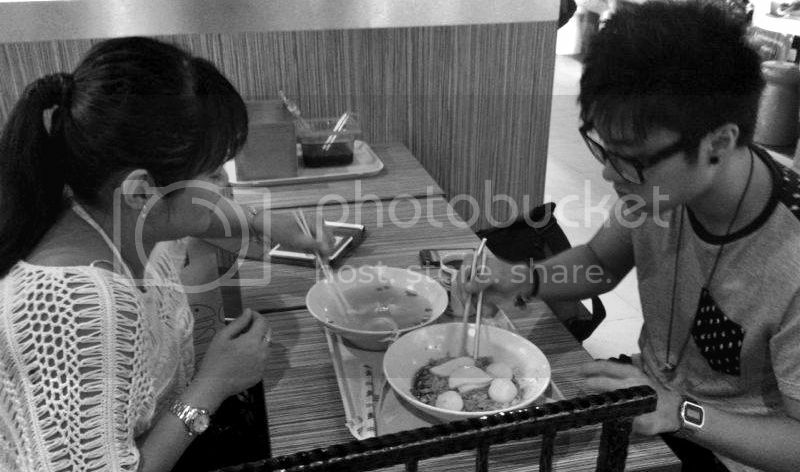 : #MakanHunt at Somerset 313 with OpenRice! 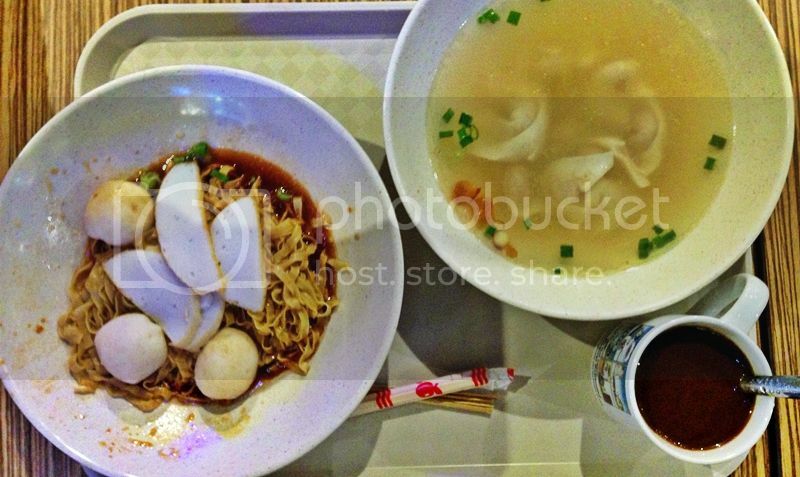 #MakanHunt at Somerset 313 with OpenRice! 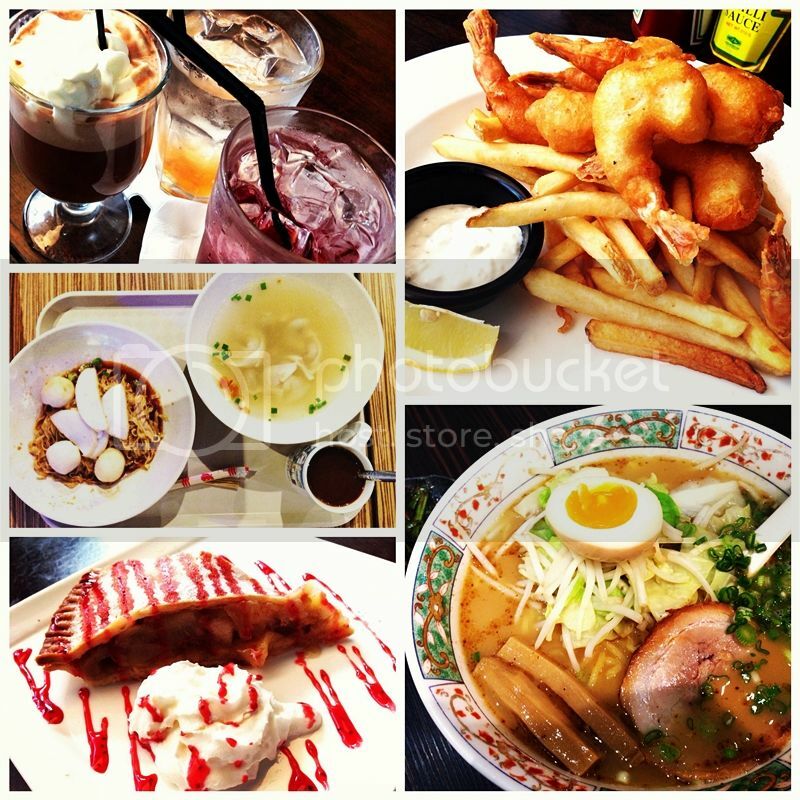 Last Saturday, i was invited to Somerset 313 for a blogger's food hunt by OpenRice Singapore. Honestly I had no idea what the food hunt is all about but it sounds cool to be running around a shopping mall in town trying out different kinds of food like a race with missions to complete within a time frame (lol!) 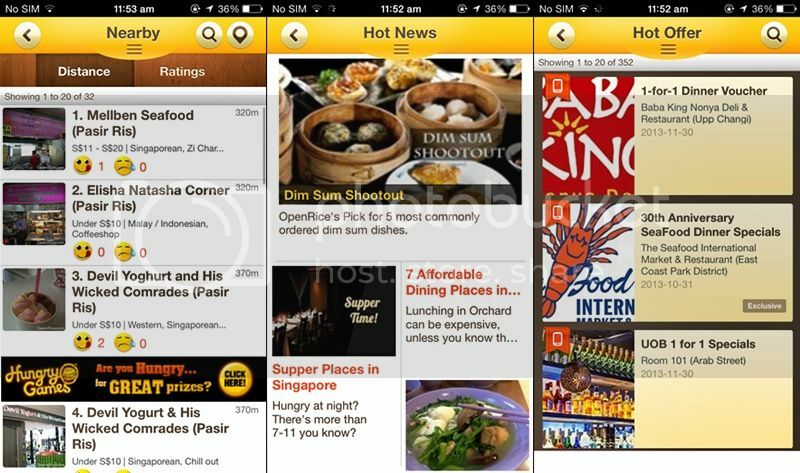 and i know that OpenRice recently updated their iOS mobile app to a whole new level to give foodies a better experience when using the app! 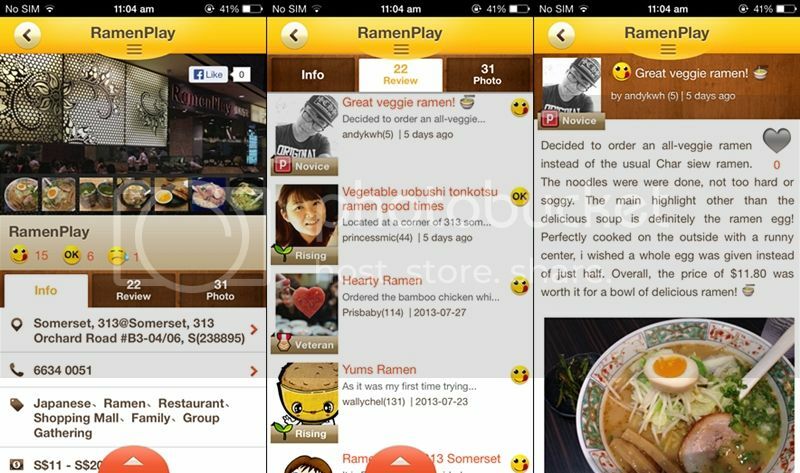 The OpenRice app is a free app for mobile users to browse over 24,000 restuarant listing and over 60,000 member reviews. 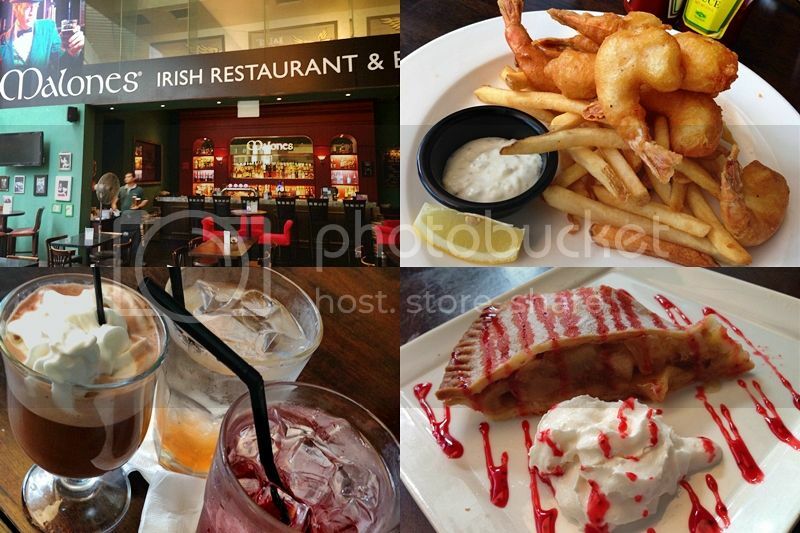 You too can read and share your very own reviews by writing and uploading photos of your food on-the-go. 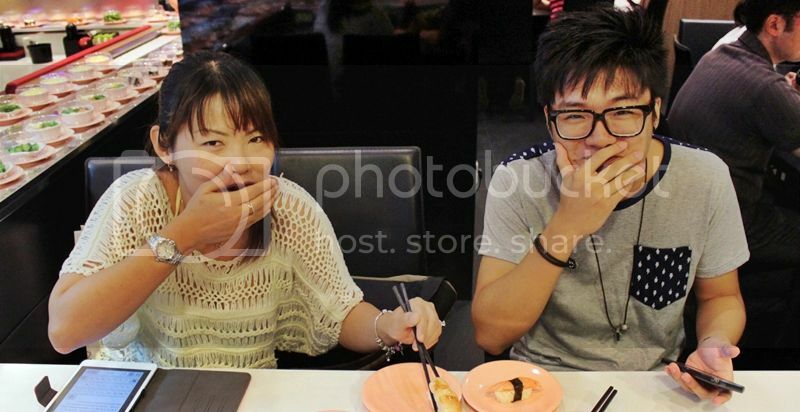 Met up with the other bloggers and we were briefed on how the food hunt is gonna be like. 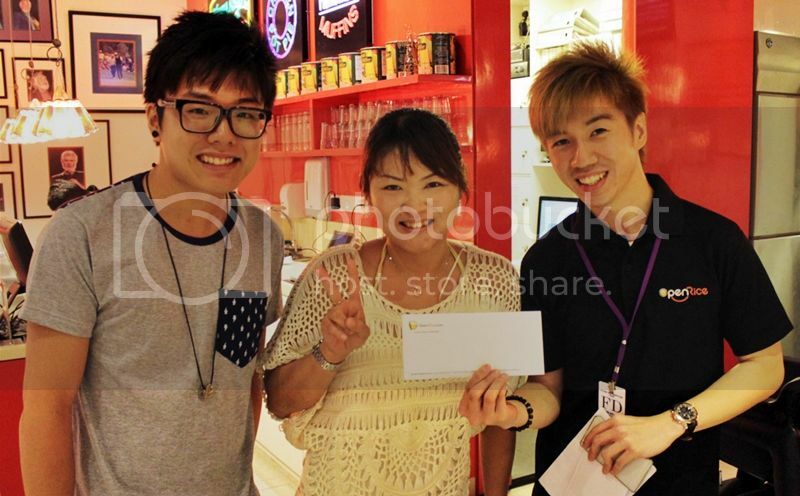 Basically we are paired up and each team is given $150 Somerset 313 vouchers and we have to go 5 designated F&B outlets (5 teams in total, 25 F&B outlets in total) and order food items as per the "mission slip", finish up all the food we ordered, pay the bill using the vouchers and write a review (with photos) of the place/food using the OpenRice iOS app! Sounds quite fun right! 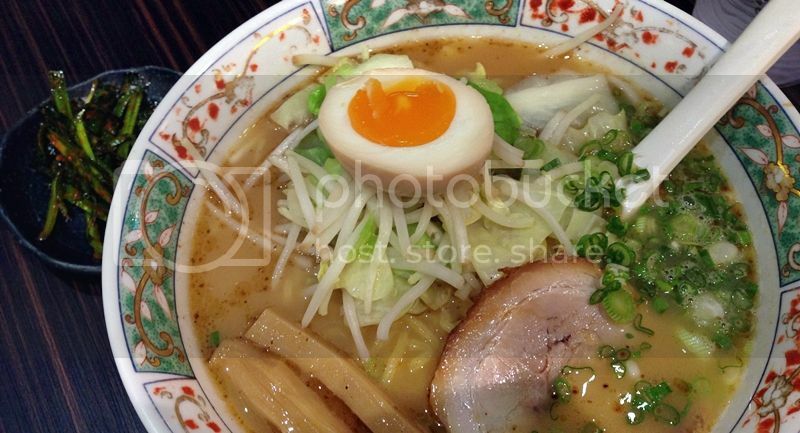 I was paired up with Shirley for the food hunt and our first stop was Ramen Play and we had to order any ramen from the menu. Thinking strategically, we decided to order the all veggie ramen so there is less meat and we could finish the noodles easily. Time limit for this food hunt is 2 hours to complete all 5 F&B outlets but we had to filter in the queuing time, waiting time for the food and queuing up to pay the bill. Everything takes time, especially during the lunch hour. 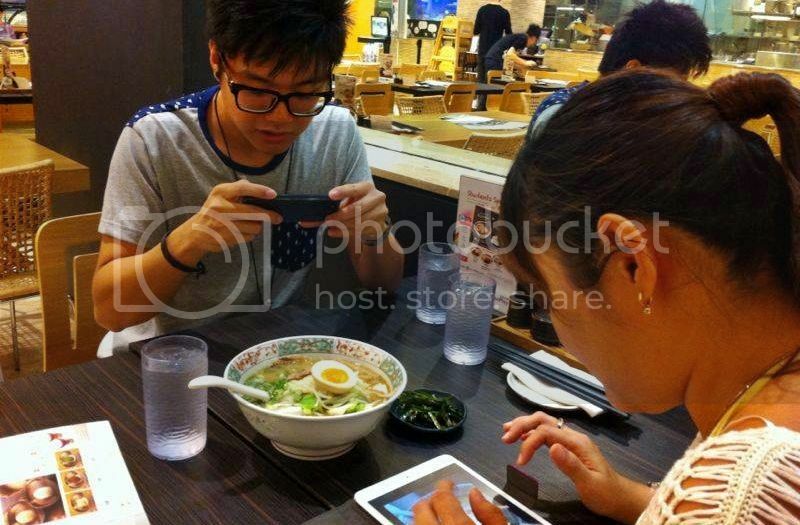 When the food arrived, the first time we did was to log on to the OpenRice app, take a photo of the ramen and started typing our review on our iPhone/ iPad. But also at the same time, finish up the ramen! Talk about multi tasking! 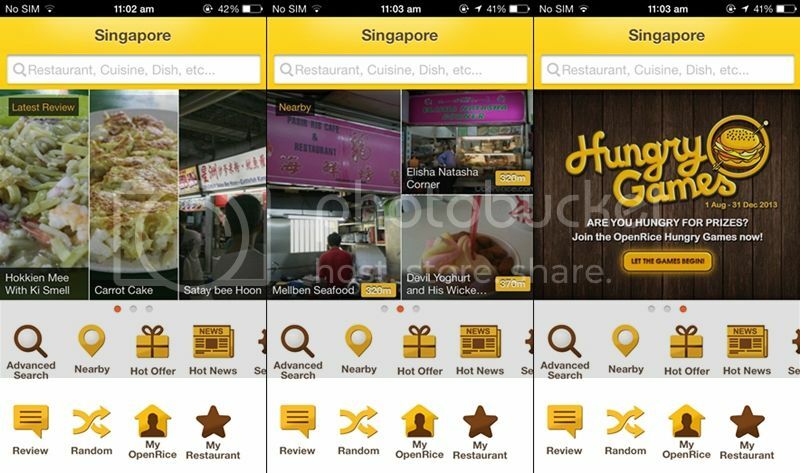 The OpenRice iOS app provides you all the details that you need of a restaurant such as the address, contact no. 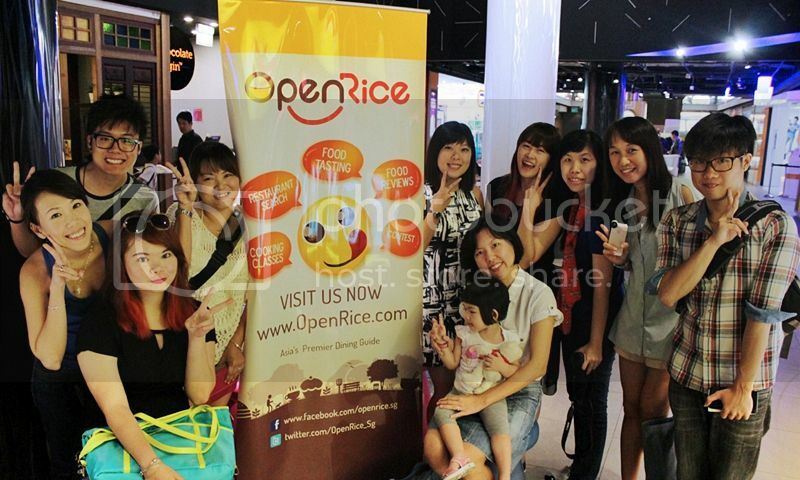 opening hours etc and not forgetting the important reviews by the OpenRice members which can help you determine what to order. Note that your review will not appear straightaway but only after it's been approved by the admins. 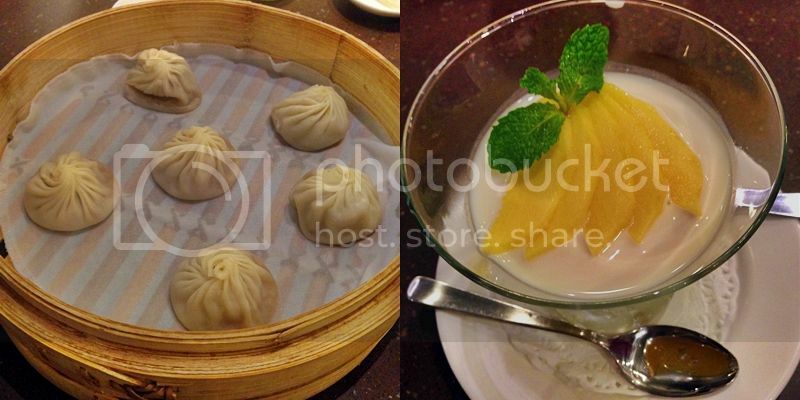 2nd Stop: Din Tai Fung where we had to order steam dumplings and a dessert. 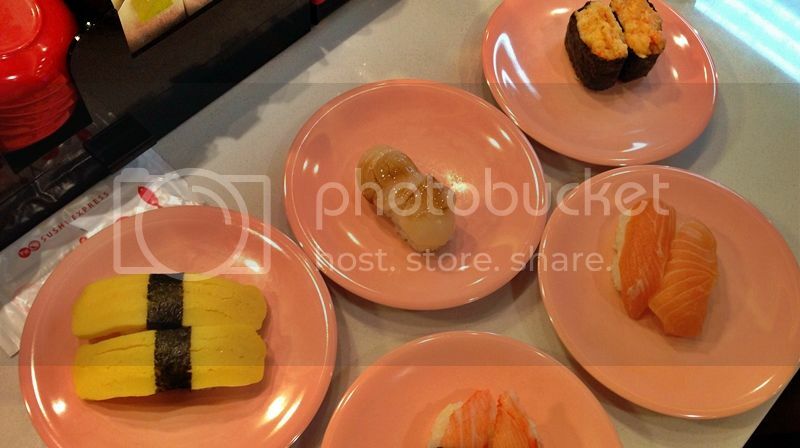 3rd stop: Sushi express. 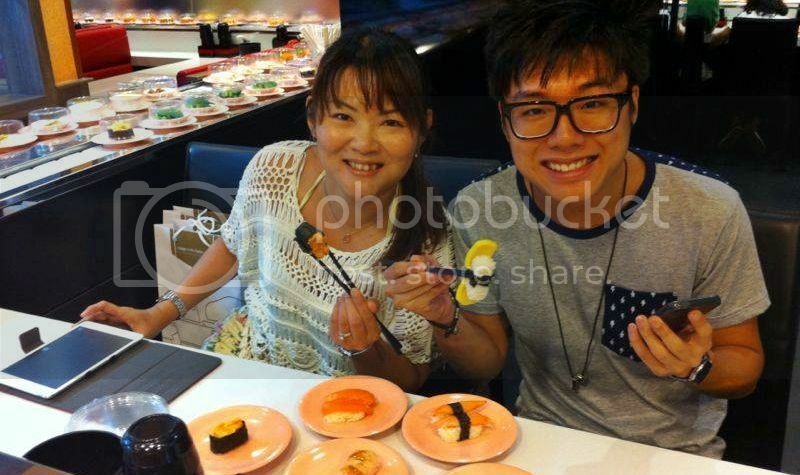 We had to take 5 plates of sushi and finish them all! 4th Stop: E.A.T. Order a set meal and a side dish. Imagine the amount of food we had to eat in that hour, and this is only the 4th stop. One more to go!